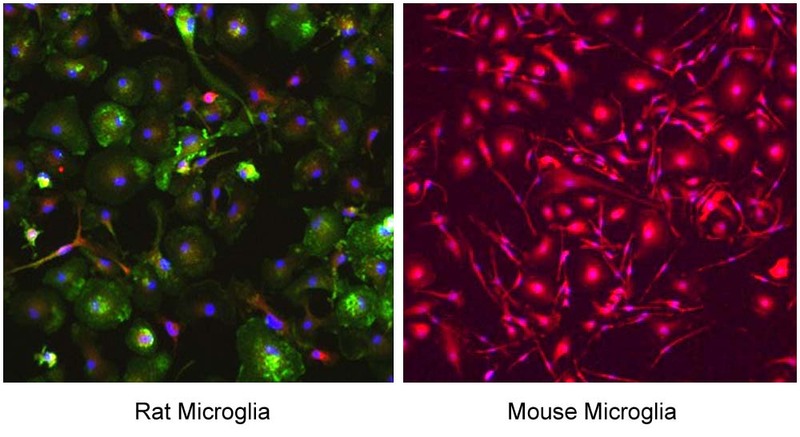 Microglia, originated from the hematopoietic stem cells in bone marrow, are the resident macrophages in the central nervous system (CNS) which is separated from the rest of the body due to the presence of blood-brain barrier. Microglia actively survey the surrounding area and respond by scavenging damaged neural cells, plaques, and infectious agents. Due to their functions in immune response and maintaining homeostasis in the CNS, microglia have been implicated in neurodevelopment, CNS plasticity and repair, neuroinflammation, aging and neurodegeneration, neuropathic pain, and infections.